It's time to focus on design and get back wasted hours on each web design project. There's so much to worry about when running a small business. In fact, it usually feels like your to-do list will never. end. 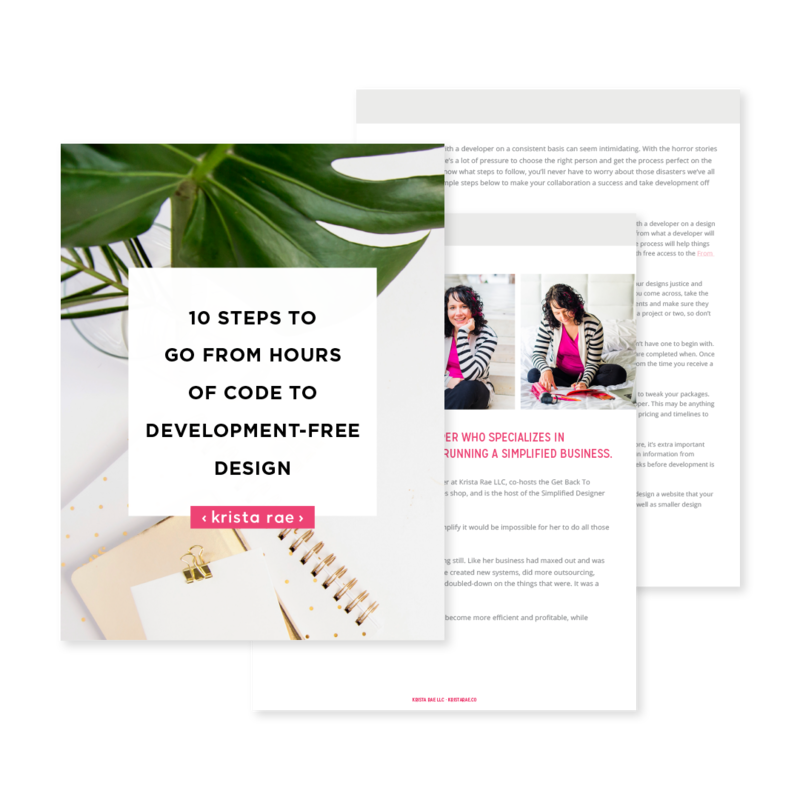 But what if you could get back wasted hours on each client project that you could spend tackling tasks that you actually enjoy? 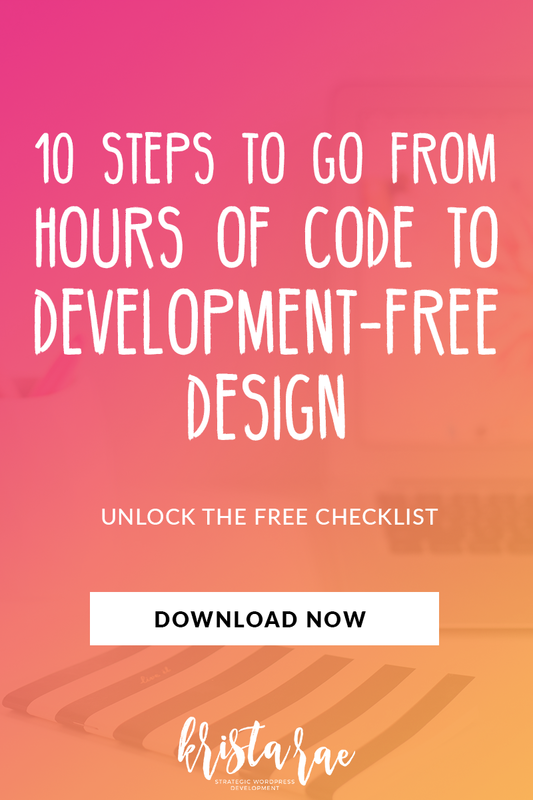 Download your very own checklist to go from hours of code to completely development-free design projects!